At twenty-five, Princess Adrianne lives a life most people would envy.Beautiful and elegant, she spends her days dabbling in charities and her nightsfloating from one glamorous gala to the next. But her pampered-rich-girl poseis a ruse, a carefully calculated effort to hide a dangerous truth.For ten years Adrianne has lived for revenge. As a child, she could only watchthe cruelty hidden behind the facade of her parents' fairy-tale marriage. Nowshe has the perfect plan to make her famous father pay. She will takepossession of the one thing he values above all others--The Sun and the Moon, afabled necklace beyond price.Yet just as she is poised to take her vengeance, she meets a man who seems todivine her every secret. Clever, charming, and enigmatic, Philip Chamberlainhas his own private reasons for getting close to Princess Adrianne. And onlywhen it's too late will she see the hidden danger...as she finds herself upagainst two formidable men--one with the knowledge to take her freedom, theother with the power to take her life. "Move over, Sidney Sheldon: the world has a new master of romantic suspense, and her name is Nora Roberts." --Rex Reed"Her stories have fueled the dreams of twenty-five million readers." she has the perfect plan to make her famous father pay. She will take possession of the one thing he values above all others--The Sun and the Moon, a fabled necklace beyond price. Yet just as she is poised to take her vengeance, she meets a man who seems to divine her every secret. Clever, charming, and enigmatic, Philip Chamberlain has his own private reasons for getting close to Princess Adrianne. And only when it's too late will she see the hidden danger...as she finds herself up against two formidable men--one with the knowledge to take her freedom, the other with the power to take her life.
" Her stories have fueled the dreams of twenty-five million readers." -- "Entertainment Weekly"
Nora Roberts is the first writer to be inducted into the Romance Writers of America Hall of Fame. The New York Times bestselling author of such novels as Sacred Sins and Divine Evil, she has become one of today's most successful and best-loved writers. 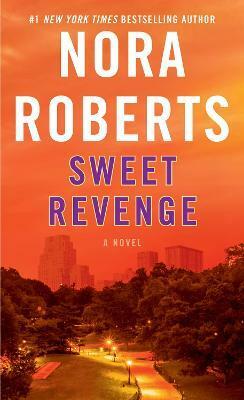 Nora Roberts lives with her family in Maryland.